February is American Heart Month, and what better way to celebrate than with wine? According to the Mayo Clinic, red wine (in moderation) can be heart healthy thanks to antioxidants that may help prevent coronary artery disease. On Feb. 7, join Touro Infirmary for Women, Heart Health & Wine at Auction House Market from 6-8 p.m. The ladies night out and wine tasting event costs $20 and includes a glass of wine and heavy hors d’oeuvres, plus discussions about women’s wellness, heart health and nutrition. Touro cardiologists and representatives from the American Heart Association will be on hand to answer questions. Heart disease is the leading cause of death for men and women in the United States, and, every year, one in four deaths are caused by heart disease. 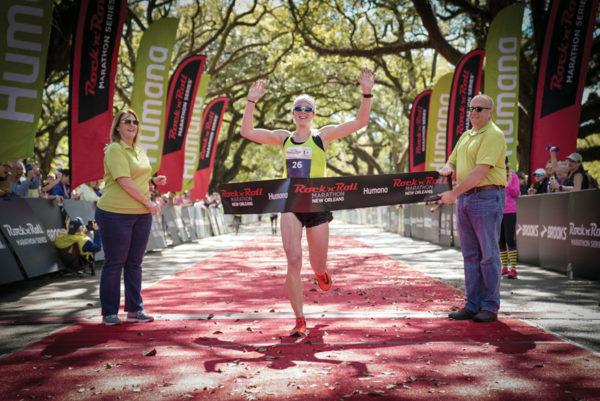 Race Ready: Get jazzed about the Rock ’N’ Roll New Orleans Marathon, taking place this month. Lace up your sneakers and get ready for the Humana Rock ’N’ Roll New Orleans Marathon Feb. 9-10. With more than 14,000 attendees, this race is one of the largest running events in the Big Easy. In addition to the full marathon ($142), there is also a half marathon ($122) and 10K race ($72), all taking place on Feb. 10. For those who aren’t ready to take on that much road just yet, there’s also a 5K run ($62) on Feb. 9. The full marathon course starts at Poydras Street at Camp Street, and it finishes at Roosevelt Mall in City Park. Maria’s Pick — Spiritual Healing: Enjoy quiet reflection at the Archdiocese of New Orleans Retreat Center. For more than 60 years, the Archdiocese of New Orleans Retreat Center has welcomed those looking for spiritual sanctuary. Its motto, “Come to the quiet, encounter the sacred,” aptly describes the atmosphere of peaceful reflection. The retreat rests on 11 secluded acres on the shores of Lake Ponchartrain and features a main house with 54 private bedrooms for overnight stays. There’s also a chapel that seats 80 people; a main meeting room that seats up to 55 people; a library and large parlor that can be used for private reading and reflection, or as a meeting room; two dining rooms; several smaller parlors for individual meetings with spiritual directors or counselors; and more.